This pocket watch is designed for the owner to insert a photo inside of the front lid. These "picture frame" pocket watches are the only watches that can have a photo inserted without the worry of damaging the pocket watch! 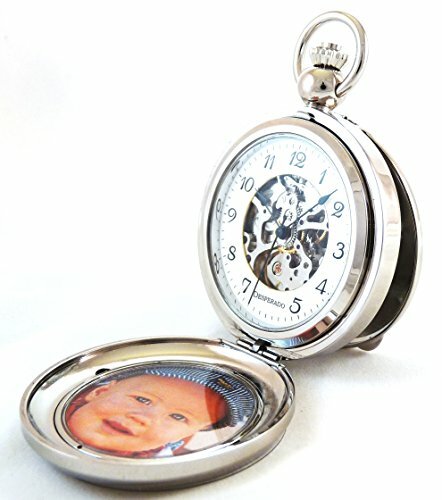 Add engraving to make it the perfect personalized pocket watch! If you have any questions about this product by Desperado, contact us by completing and submitting the form below. If you are looking for a specif part number, please include it with your message.